Since towing and taxi companies depend upon dispatchers to keep them on the road, dispatch services offered by live answering companies are essential for business. Live Answering Network (LAN), the premier answering service to the U.S. and Canada, is your ultimate solution to all your round-the-clock towing and taxi dispatching needs. If you’re a tow truck driver, you know that since accidents and breakdowns don’t have an “off” time, you can’t take time off either. You have to be on call at all hours of the day or night and be prepared for anything: calls from the police, stranded passengers and even disgruntled property owners who threaten to tow for illegal parking. 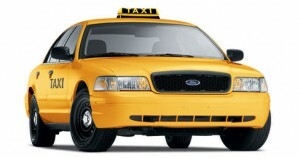 If you’re a taxi cab driver, you know that the phone may ring any minute from a person that is stranded on the side of the road, or is looking for a ride to work or just needs a lift from point A to point B. People depend heavily upon you, and you must prove your service as being reliable and accessible in order to expect return customers. At LAN, we take telephone answering seriously. We are committed to being concise yet thorough, thus enabling your business to run smoothly and efficiently. Our highly-trained live operators pay careful attention to detail and relay the call information to you immediately via text and/or email. All you need to do is tell us who is on duty for dispatch at the various hours of the day, and we’ll take care of the rest. You can even have messages cc’d to your inbox, so that you may be aware of all call and service activity as well. There are never any lost calls, only gained income and satisfied customers! Your clients will be pleased that they can reach you any hour of the day or night and are given compassionate, personalized attention. In the meantime, they never know that they are speaking with a call center as we seamlessly answer each call with your business name. LAN HAS THE LOWEST RATES ANYWHERE! Hiring receptionists to handle all your calls 24 hours a day, seven days a week can be very expensive. Even then, you can’t guarantee the elimination of missed calls, as there are always overflow times where multiple callers might be trying to contact you simultaneously. At LAN, we provide answering service that is high-quality, yet affordable. In fact, you won’t find lower prices anywhere; that’s our guarantee! Unlike other call answering services, there are never any contracts and you never have to decipher complicated rate scales just to understand your monthly bill. Everything is simple and easy. We accept Mastercard, Visa, Discover and American Express, as well as e-checking. Why not contact us today and see if you qualify for one of our flat rate packages? We’ll have you set up within 24 hours! Whether a large or small towing or taxi business, LAN can help you to edge out the competition and give you a chance at succeeding in your market. Because no calls are missed, no business is lost. Clients will only be impressed that they can reach you on the first try and aren’t connected to a machine. http://www.liveanswering.net/services/towing-and-taxi-answering-services/ http://www.liveanswering.net/services/towing-and-taxi-answering-services/LAN gives your business a good reputation that keeps your customers coming back again and again. We consider ourselves as a member of your team; therefore, we feel a personal responsibility to answer each call with utmost professionalism and care. Call handling is extremely important to us. If you ever have a question, you can always contact your assigned direct account agent, who will be just as prompt at assisting you as we are with your customers. Why not give us a try and see how our towing and taxi dispatch services can take your business from typical to top-notch! You have nothing to lose but all of those lost calls!